Growing up in his daddy's house, he knew hard work. Long before he was a man, he knew what it was like to mash his fingers and have to get a thin piece of hot metal to relieve the pressure under the smashed nail. 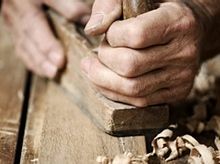 He had to clean up after his daddy had worked with wood, stone, and mortar — after all, he was the apprentice and his daddy was the master carpenter. He knew what it was like to sweat through his clothes on a hot summer job and finish the day with his arms covered in sawdust or sand and his feet a slimy mess of dirt and sweat. So as the Master looked over the edge of history and saw three crosses on the cruel hill called Golgotha, he was determined to show his friends, his faithful followers, the full extent of how much he loved them — he was determined to show his love for them to the very end (John 13:1). So, he took off his outer garment, picked up a towel and water basin and began to wash their feet. Not just the feet of the faithful ones. There would be none. Not just the feet of the most important one. He would fail most miserably. Not just the feet of the beloved one. He would watch, but only from a distance. The Master would show his love to everyone. Yes, he would wash each of their feet, including the one who had already sold him out for 30 pieces of silver and would soon betray him with a kiss. Yes, the Creator of the universe, on the night of his betrayal, stooped down and lovingly cleaned the toe jam from the feet of his betrayer... and the one who would deny him... and the other ten who would forsake him and run away. Even his closest friends, the inner three, would fall asleep when he needed them most. Yet knowing this, Jesus' concern was not for himself, but for them. He spoke life to them in the face of his own death. He spoke hope into their hopelessness. He spoke promise into their broken promises. Love! Yes, love did this. But, look deeper than the concept of love. Underneath was a commitment to love them completely — not just in words, but in action and truth (1 John 3:16-18). He served them to set them an example of how to create a culture of honor* out of a brotherhood of dishonor, betrayal, denial, rivalry, fear, weakness, and hopelessness. He demonstrated what he had so often spoken: "The greatest among you will be as one who... serves" (Luke 22:26 NIV). When he had finished washing their feet, he put on his clothes and returned to his place. "Do you understand what I have done for you?" he asked them. "You call me 'Teacher' and 'Lord,' and rightly so, for that is what I am. Now that I, your Lord and Teacher, have washed your feet, you also should wash one another's feet. I have set you an example that you should do as I have done for you. Very truly I tell you, no servant is greater than his master, nor is a messenger greater than the one who sent him. 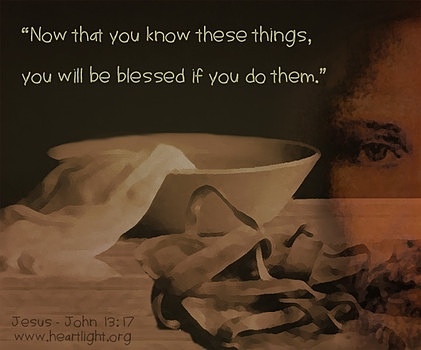 Now that you know these things, you will be blessed if you do them (John 13:12-17). Notice that the Lord made clear, both by word and by example, that this band of brothers would not be blessed because they talked about serving, but only if they went about serving (John 13:17). For even the Son of Man did not come to be served, but to serve, and to give his life as a ransom for many (Mark 10:45). Jesus' heroic work on the Cross and at the empty tomb would ransom this rag tag bunch of ordinaries. Before the passion of Christ, however, we see Jesus ransoming this bunch in hundreds of smaller ways, most largely going unnoticed by them. It is not in the seldom required grandiose sacrifice of ransom that we serve each other most frequently, but in the common and costly service most needed (1 John 3:16-18). These acts of service, both large and small, build a culture of honor — a place where flawed people are ransomed and broken people are reclaimed. Want to know the greatest person around you? Don't look at the podium or on the list of official ministers. Don't check the org chart to see who is at the top. Don't look for the folks in the corner office with a view calling the shots. In a blessed place to worship or work or grow, you will find the greatest at the feet of others, unpretentiously serving them... regardless if it gets noticed... regardless if those served will be appreciative... regardless of the titles. To build a culture of honor, we must see that it is more blessed to give than to receive, and that the greatest gift we can give is our self, bent down to lovingly serve those we hold dear... regardless! Now that you know these things, you will be blessed if you do them (John 13:17). Now that you know these things, you will be blessed if you do them! 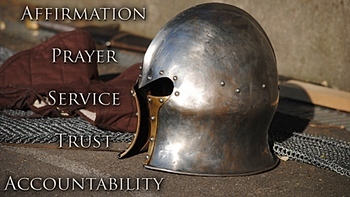 "Building a Culture of Honor: Serving" by Phil Ware is licensed under a Creative Commons License. Heartlight encourages you to share this material with others in church bulletins, personal emails, and other non-commercial uses. Please see our Usage Guidelines for more information.